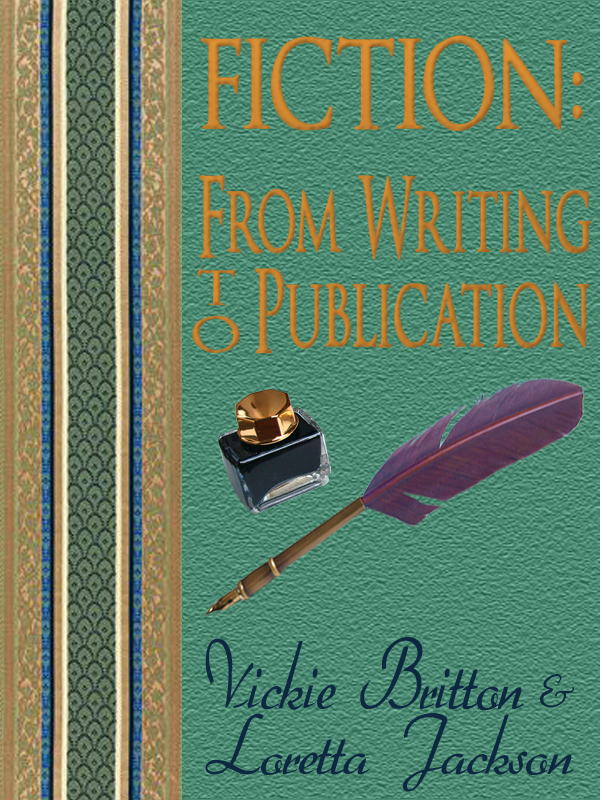 A huge challenge for writers, whether traditionally or self published, is spreading the word about your books. Some people spend thousands of dollars hiring a publicist, but how do you know if you will get your money's worth? And if you are working on your own, how do you know you'll get your time's worth? I have been somewhat active on Good Reads. I also have profiles on Library Thing, Jacket Flap, Red Room, and Authors Den. It takes a few hours to update all these sites every time I have a new book out, but it's important to have your book where people can find it. Another community of book lovers and reviewers I've discovered recently is Ask David. Although not the largest out there, it offers a free opportunity for authors to promote their books, including a free book promotion page, links to websites/Facebook/Twitter etc., and the potential for reviews from users. It only took a few minutes to fill out the form, and they do the rest. This service can be free to the authors because the site gets a small commission from Amazon for sales through site links. As authors, of course we'd rather spend our time writing – but it's worth trying some of the promotional sites, especially the free ones. Back in June and July I did a series of posts on the process of turning an idea into a story. (Those essays are under the tag "developing ideas"). A story has four main parts: idea, complications, climax and resolution. I’ve talked a lot about getting off to a strong start and developing the middle of the story. Last week I talked about the climax. Now let’s look at how stories wind down—the resolution. The climax ends with the resolution. You could say that the resolution finishes the climax but comes from the idea: it’s how the main character finally meets that original challenge. In almost all cases the main character should resolve the situation himself. Here’s where many beginning children’s writers fail. It’s tempting to have an adult—a parent, grandparent, or teacher, or even a fairy, ghost or other supernatural creature—step in to save the child or tell him what to do. That’s a disappointment for two reasons. First, we’ve been rooting for the main character to succeed. If someone else steals the climax away from him, it robs the story of tension and feels unfair. Second, kids are inspired by reading about other children who tackle and resolve problems. It helps them believe that they can meet their challenges, too. When adults take over, it shows kids as powerless and dependent on grownups. So let your main character control the story all the way to the end! Child characters can receive help from others, though, including adults. In I Am Jack by Susanne Gervay (Tricycle Press, 2009), Jack faces bullying. He solves his problem, in part, by asking for help. In the end, Jack stands up for himself, but with the support of family, teachers, and friends. It’s a realistic ending that inspires kids to take charge in their own lives. Though your main character should be responsible for the resolution, she doesn’t necessarily have to succeed. She might, instead, realize that her goals have changed. 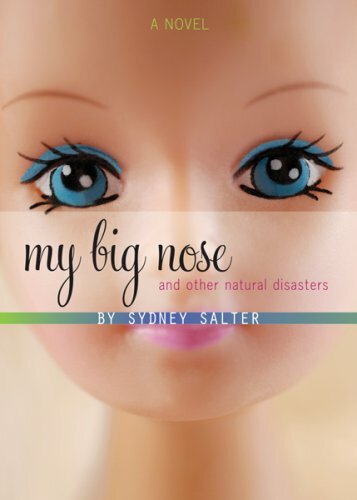 In My Big Nose and Other Natural Disasters by Sydney Salter (HM Harcourt, 2009), Jory starts out thinking that she needs a nose job to change her life. After a series of humorous disasters, Jory decides she really doesn’t need surgery to feel better about herself. Stories for younger children generally have happy or at least optimistic endings, even if the original goal changes. Teen stories may be ambiguous or even unhappy. Unhappy endings are probably most common in “problem novels,” such as stories about the destruction of drug addiction. The main character’s failure acts as a warning to readers. This principle is equally important when writing for adults. Don't fall back on deus ex machina, the Calvary to the rescue, etc. Your main character should solve the problem. Even in today's romance novels, the heroine is more likely to rescue herself (and maybe the hero) than to let the hero do all the work. What am I trying to accomplish? Who am I trying to reach? Why am I writing this? Once you know your theme, you know where the story is going, and how it must be resolved. In My Big Nose and Other Natural Disasters, Salter wanted to show that happiness comes from within, rather than from external beauty. Therefore, Jory had to learn that lesson, even if it conflicted with her original goal of getting a nose job. A good setting works hand in hand with plot, for like the scenes of a movie or the props for a play, it establishes the necessary background for the action and the success of your story. 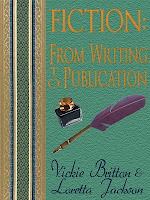 Below is an excerpt from our ebook Fiction: From Writing to Publication. Developing a setting is very important to a novel for it adds flavor and color to the book. Many times a novel is begun because of the author’s interest in a particular setting. Because of this, a sense of place emerges naturally from what is known and understood. Often writers select their home towns, states and countries where they have lived or visited, or one where they want to go. If this place is significant to the writer, it will show in the work. What would Tony Hillerman’s novels be without the canyons and small towns of New Mexico, or Willa Cather’s without the Nebraska prairie? In The Bridges of Madison County, author Robert James Waller wrote so convincingly about the area that readers actually went in search of the covered bridge mentioned in his story, even though the bridge itself is fictional. While it is the best policy to travel to your settings, you can portray a good setting with proper research. Say you want to set your book in China. Sometimes it’s just not possible to have an extended stay in China, although a ten-day trip might be within your budget. But if it’s not possible to travel to your chosen setting at all except in your mind, the Internet and the library become your new best friends. What works best for us is to personally visit every setting for our stories, to get a feeling for the location. Sometimes we may change certain details such as making up our own towns, rivers, mountains, etc, but they are always in keeping with what might be found in the actual area. Here are some examples of how some of our plots have developed from our own experience with travel and personal interests. 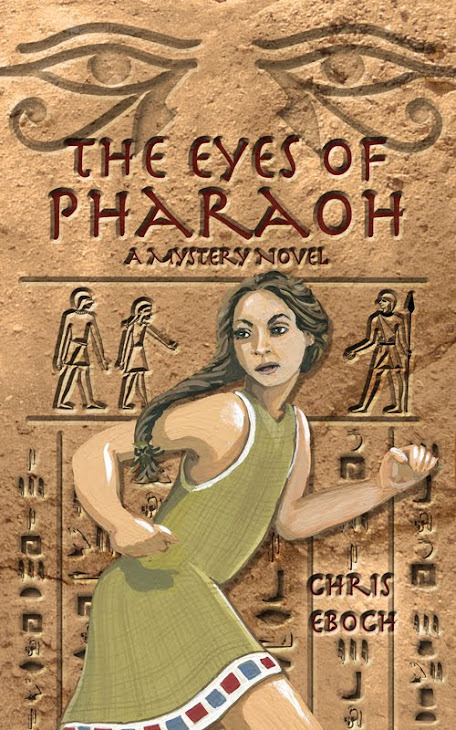 Ardis Cole, in our Ardis Cole Mystery Series, is an archaeologist who travels the world and runs into a crime in every different place. The plots for these novels were actually formed from the settings. For instance, in The Curse of Senmut a tomb is located which is believed to belong to Senmut, Queen Hatshepsut’s scribe and lover, and in Unmarked Grave a skull is found on the grounds of an ancient castle in Scotland, one that we visited. When Vickie lived in Laramie, Wyoming, we became drawn to the Old West, the legends and rough terrain. From this love grew our High Country Mystery Series, The Luck of the Draw Western Series, and the Western single Death Comes in Pairs. An authentic setting will draw the reader into the story and give them a sense of actually being there. 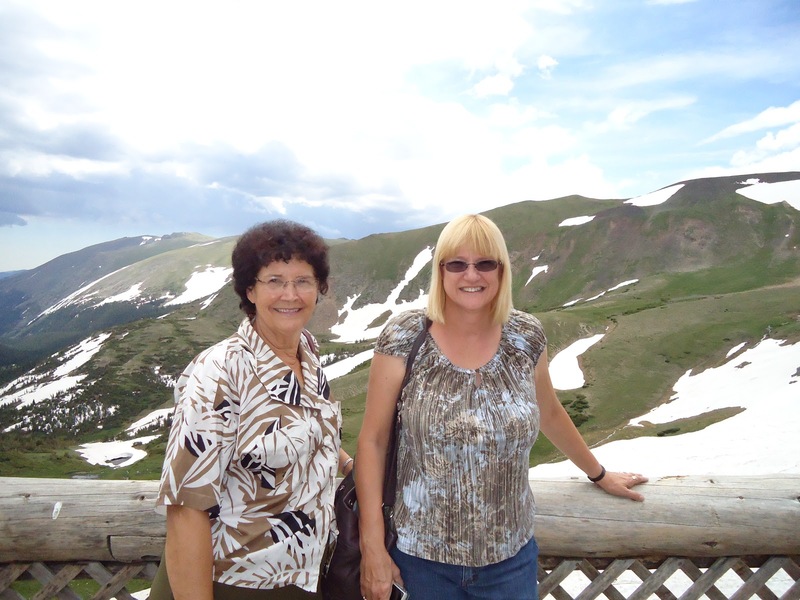 Biography: Loretta Jackson and Vickie Britton are sisters and co-authors of forty-three novels and numerous short stories, mostly mysteries and westerns. Loretta lives in Junction City, Kansas, and Vickie in Hutchinson, Kansas. Loretta taught school at the Pine Ridge Indian Reservation in South Dakota while Vickie was living in Laramie, Wyoming. There they became interested in the legends and history of the Old West. 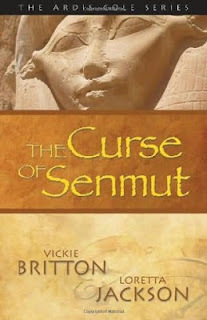 Their recent titles include Whispers of the Stones, The Wild Card, The Lost City of the Condor and The Viking Crown .The sisters were recently interviewed in The Mystery Writers:Interviews and Advice by Jean Henry Mead More about the authors and their works can be found by visiting their web page , or Amazon Author Central. Building Your Novel: The Climax!!! In previous posts, I’ve talked about setting up conflict and building tension through the middle of the story. Finally, at the climax, the main character must succeed or fail. You’ve built to this point with your complications. Now time is running out. The race is near the end. The girl is about to date another guy. The villain is starting the battle. It’s now or never. However you get there, the climax will be strongest if it is truly the last chance. You lose tension if the reader believes the main character could fail this time, and simply try again tomorrow. In The Well of Sacrifice, the high priest throws Eveningstar off a cliff into a sacrificial pool. If she can survive and get back to the main temple in secret, she can confront the high priest with new status as a messenger from the gods. But the penalty for failure is death—the highest stake of all. 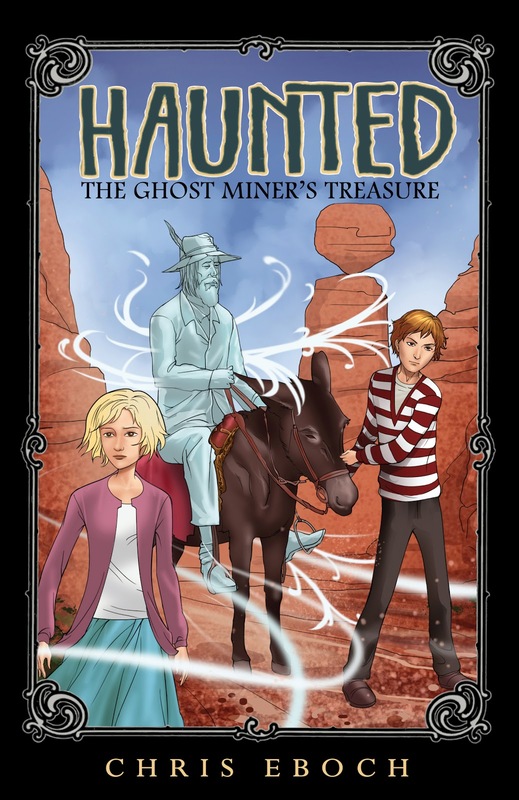 In my Haunted series, each book takes place in a new location where the ghost hunter TV show is researching a ghost. The shoot will last only a couple of days. If Jon and Tania don’t figure out how to help the ghost within that time, they’ll lose their chance. I gave this challenge added importance through backstory—they had a little sister who died, so the idea of someone being stuck in an unhappy ghostly state has special resonance. Movies are well-known for this “down to the wire” suspense, regardless of genre. In Star Wars, Luke blows up the Death Star during the final countdown as the Death Star prepares to blow up the planet. In Back to the Future, Marty must get his parents together before the future changes irretrievably and he disappears. He’s actually fading when they finally kiss. In the romantic comedy Sweet Home Alabama, Melanie decides whom she really loves as she’s walking down the aisle to marry the wrong man. The technique works just as well for books and stories, and you'll get the most suspense if the stakes are high. 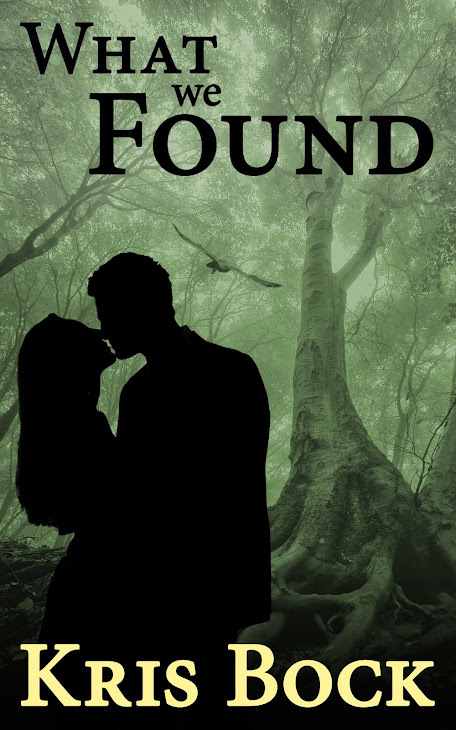 In my mystery/suspense novel What We Found (written as Kris Bock), Audra would be perfectly happy to leave the murder investigation to the police – except the killer seems to be targeting her. She has to find out who's responsible before she becomes the next victim. In Whispers in the Dark (also written as Kris Bock), the heroine stumbles into a dangerous situation by accident, but once she's there, her life is at stake, and so is the life of the man she's starting to love. This works for some nonfiction as well, especially biographies or memoirs. In Jesse Owens: Young Record Breaker, the book I wrote under the name M.M. Eboch, the true story had a natural ticking clock – the 1936 Olympic Games in Germany, where Jesse could prove himself or fail. Study some of your favorite books. Is there a “ticking bomb,” where the characters have one last chance to succeed before time runs out? If not, how would it change the book to add one? Now look at your work in progress, a completed manuscript draft or outline. Do your characters have a time deadline? Do you wait until the last possible moment to allow them to succeed? If not, can you add tension to the story by finding a way to have time running out? Don’t rush the climax. Take the time to write the scene out in vivid detail, even if the action is happening fast. Think of how movies switch to slow motion or use multiple shots of the same explosion, in order to give maximum impact to the climax. I wondered whether this held equally true for novels. Looking through a few of the books on my shelf, certainly the climax is a crisis point where the reader may believe that everything is going wrong and the main character could fail. In The Ghost on the Stairs, Tania is possessed by a ghost and her brother Jon isn’t sure if he’ll be able to save her. 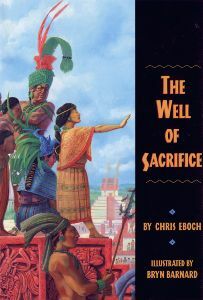 In The Well of Sacrifice, Eveningstar is thrown into the sacrificial well, a watery pit surrounded by high cliffs, and realizes no one will rescue her. In The Lion, the Witch, and the Wardrobe, the lion Aslan is killed and the good army is losing their battle. In adult mystery or suspense novels, this may be the point where the bad guy has captured the hero or is threatening to kill him. In a romance, this is the point where the couple is farthest apart and we wonder how they’ll ever resolve their differences to live happily ever after. Does your story or novel have a crisis point, a moment at the climax where readers truly believe the main character could fail? If not, you may want to rethink your plot or rewrite the action to make the climax more intense and challenging. The happy ending is only satisfying if it is won at great expense through hard work. In literature as in real life, people don’t always value what comes easily. Success feels that much sweeter when it can be contrasted to the suffering we’ve had to endure. Next week I'll talk about the climax itself. See Doug’s entire 4000-word essay covering all the dramatic story points of three-act structure, plus much more, in Advanced Plotting. Buy Advanced Plotting for $9.99 in paperback or as a $4.99 e-book on Amazon or Barnes & Noble, or in various e-book formats from Smashwords. Douglas J. Eboch wrote the original script for Sweet Home Alabama. He teaches at Art Center College of Design and lectures internationally. He writes a blog about screenwriting at http://letsschmooze.blogspot.com/.